Volkswagen’s small car product line boss, Andreas Krüger, has confirmed that the yet-to-be-revealed T-Cross compact SUV will be launched in India soon. Earlier, VW had exclusively told us that it is considering the upcoming T-Cross as its compact SUV contender in the country. The T-Cross will be the first SUV to be based on the localised MQB-A0-IN platform and will also spawn a Skoda-badged sibling in India. 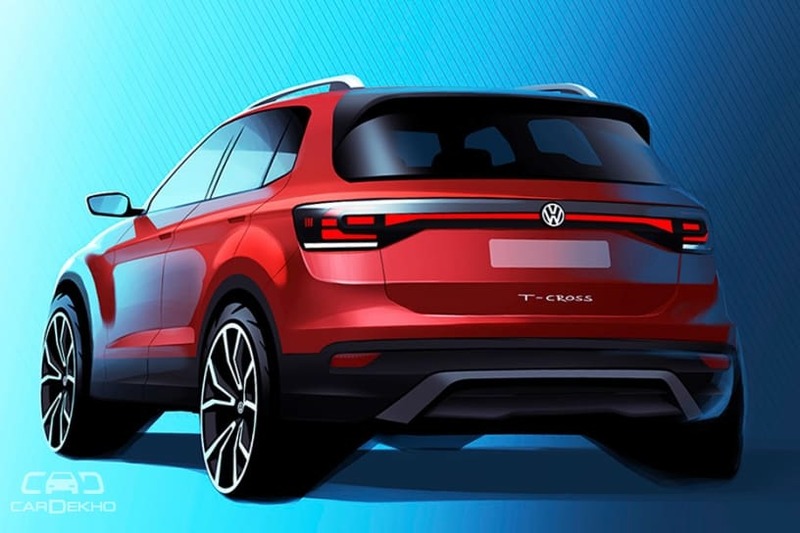 "We're going worldwide with this (T-Cross), starting in Europe, then South America, both Chinese joint ventures and finally India," added Andreas. Expect the T-Cross to make its Indian debut around late-2020 as that’s when Skoda is set to reveal its first-ever made-for-India SUV. But before that, expect these SUVs to make an appearance at the 2020 Indian Auto Expo in their respective pre-production prototype form. Volkswagen recently revealed the official sketch of the Euro-spec version of the compact SUV and followed it up with a teaser video of a lightly camouflaged T-Cross. The Euro-spec SUV is roughly the same size (4107mm) as the MQB A0-based sixth-gen Polo. The India-spec T-Cross, on the other hand, could be slightly bigger than the Euro-spec model. That’s because it is likely to use the Virtus (the Polo sedan) as its base instead of the Polo. For more details, click here. Both the Skoda SUV and the Volkswagen T-Cross are expected to be heavily localised in India. So, expect it to sport a competitive price tag starting from around Rs 10 lakh. In India, the T-Cross will compete against the Hyundai Creta, and the Renault Captur, and upcoming SUVs such as the Nissan Kicks, second-gen Renault Duster, Jeep Renegade and Kia SP concept-based SUV.